Three classes in St. Mark's Senior National School are involved with the J.D.O Foundation. 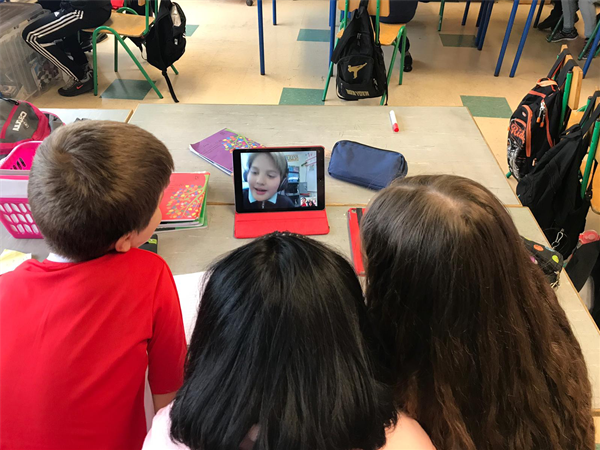 Here children are participating in a Google Hangout with their partners from Loretto Academy Elementary School in El Paso, Texas. There’s a time difference of 7 hours so they come in early and we stay late. The children are collaborating with their partners and creating a project on the local wildlife.